Pokémon beyond the original 151 can now be found in Pokémon Go, announced developer Niantic and The Pokémon Company today. 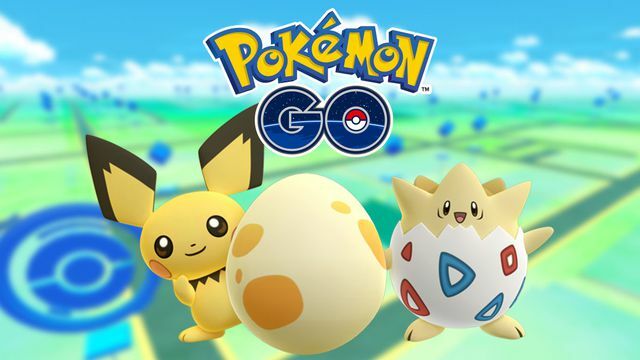 Baby Pokémon like Pichu and Togepi, who made their debut in Pokémon Gold and Silver, will now pop up in the hugely popular mobile game. Players won’t be able to catch them in the wild like the average Pokémon, however. Instead, they’ll have to visit PokéStops to collect Pokémon eggs, which may include one of the new finds when they hatch. Niantic and The Pokémon Company named Pichu, Togepi and “select other Pokémon” as the newest additions to Pokémon Go. Players found code for the entirety of generation two — numbers 151 through 251 in the Pokédex — last month. Also available in Pokémon Go starting now until Dec. 29 is a special Pikachu. The holiday edition of the series’ mascot can be found and caught worldwide. Both developer and publisher said that players should have no trouble finding the festive hat-wearing Pikachu during this timeframe.